Want to quit but no idea where to start? Here are 5 reasons why building a plan is the best first step. The first step of quitting is making a plan. Make a plan to suit your lifestyle and your reasons for quitting. 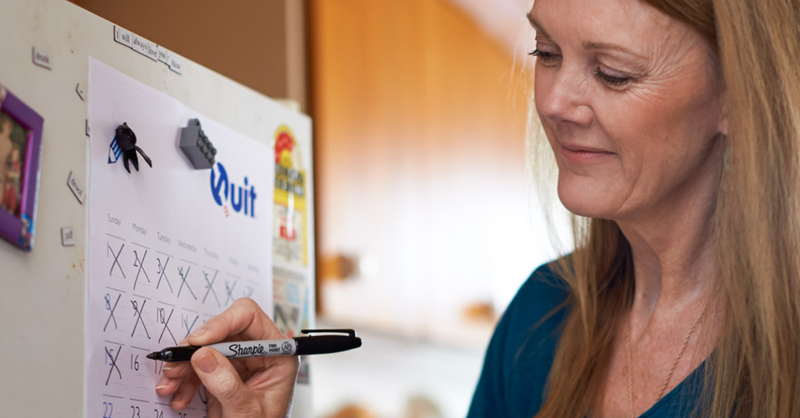 Use our simple online tool called Your Quit Plan, and you'll be more likely to quit successfully. This gives you time to get ready and is an important milestone to work toward. Your Quit Plan will explain what triggers you to reach for a ciggie and how to manage these situations and cravings. Can’t decide between a patch, inhaler or lozenge? Your Quit Plan will explain and suggest options that will work best for you. Get the best of Quit Victoria’s services and advice in one place – you don’t have to search to find personalised help. Print out Your Quit Plan, download it, or have it on email. Keep it on you to stay on track. We’ve helped hundreds of thousands of people quit smoking over the past 30 years (seriously, more than ten thousand Victorians call the Quitline every year) and we're here to help you too. We can help you with a real plan to quit based on what’s been proven to work for people in the past. Click here to build your own quit plan or listen to how former smokers beat the habit.